The hotel now has an additional 61 rooms, 104 refurbished bedrooms, 6 new state of the art meeting rooms all located on the ground floor, a delicious new Grain & Grill Bar & Restaurant which will serve Dalata Hotel Groups own coffee brand, Red Bean Roastery along with delicious freshly made meals served at breakfast, lunch and dinner, scrumptious cocktails and refreshing pints. 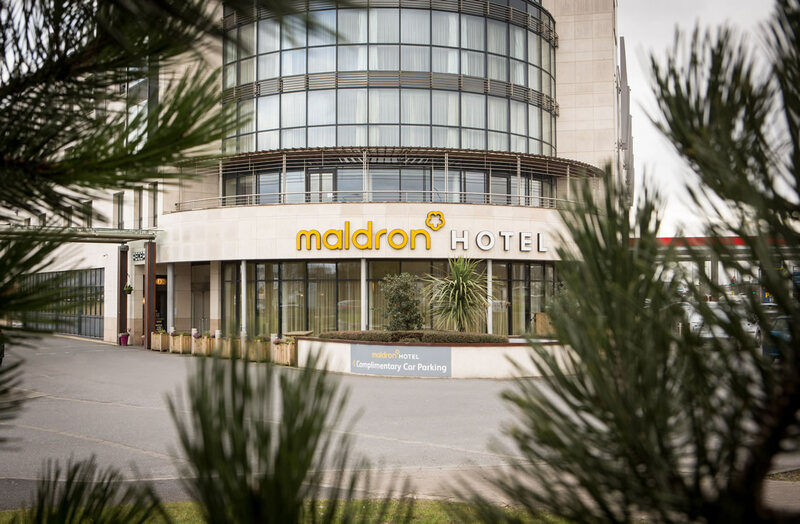 Located just a 15-minute stroll from Eyre Square, a 10-minute drive away from the Galway Racecourse and just off the N6, the hotel is close to all the main attractions, festivals and everything else in between that Galway has to offer. GREAT SERVICE, CLEAN ROOMS .FOOD VERY GOOD NEAR TO MANY SHOPS 10 MIN WALK TO CITY CENTRE .WILL STAY AGAIN. Lovely room, spacious and clean. Breakfast was good. Cannot fault location - would stay here again. Very friendly and helpful staff. Room was fine and only suffered with the petrol station traffic adjacent. Fine comfortable rooms. Breakfast choice was excellent. Great location. Easy walking distance to city centre. Will definately stay again. We spent three nights in a hotel in June. The hotel is very good located, not fer from the city center which is ten minutes walk. You can get a bus 407 and the bus stop is like 50 meters from the hotel. There is a Dunnes store nearby, Galway shopping center and a Spar shop just next to the entrance door. By itself it was very quiet and clean. Meals in the restaurant were overpriced, to my opinion. I wouldn't recommend eating there. Overall experience was positive. Lovely hotel and helpful friendly staff! Very good value for money. Staff were very pleasant. I really enjoyed my stay. Very poor experience overall. Really loud sound coming from beside our room all night long, like the room was next to a boiler house. We couldn't get hot breakfast delivered to our room the next morning. There was a really bad smell in the bar when we went for a drink that night. I wouldn't book this place again. Really very good hotel , Excellent friendly staff. Food Ok. Overall a very good weekend. Will go again ... hoping for better weather. Stayed here in Tuesday and received a lovely warm welcome from David at reception who promptly ordered us a taxi when going out for the evening and recommended a great restaurant which we enjoyed. We'd breakfast and lunch the following day served both times by a really pleasant young girl called Shauna who has a fantastic sense of humour even if she doesn't like peas ;) we also had a wonderful experience in the spa with our treatments carried out by Jasmine and our welcome and goodbye by Clodagh both ladies where extremely welcoming and professional with great humour also. Overall would highly recommend this hotel. Nice hotel, rooms were beautiful and very clean and modern. Bar area and lobby were a bit smelly for some reason! But the place as a whole was lovely. Free parking, lovely breakfast and leisure centre made this a very good place to spend the night. Very good value and lovely staff! Enjoyed a lovely stay here in October for 2 nights. Have stayed here a couple of times before and its a lovely Hotel in a great location. Very clean and comfy rooms and great breakfast on both mornings. Staff very friendly esp Emma in the dining room. Will definitely stay here again. Top class. Had a great stay here for 2 nights. Bedrooms fantastic great breakfast. 25 minute walk to town centre with lots of shops along the way! Will stay again next time we are in Gallway. Mairead. Enjoyed our stay at the Pillo Hotel. Room very clean and spacious. Location very good - less than 15 mins walk to city centre. Have stayed in this hotel previously and would stay here again. Rooms excellent and spacious and very convenient to the city centre. overall very happy with our stay at the Pillo hotel. rooms were clean and beds very comfortable. had a very enjoyable time at the spa. service was good. However, I was not very impressed with the food. Breakfast was was good but ordered the chicken ceaser salad one evening; there was hardly any chicken in the salad and the overall flavor was not pleasant. Enjoyed our stay. Staff friendly and helpful. Good location - 10 minute walk to Shop Street. Hotel clean. Excellent hotel,excellent staff and beautiful city. Enjoyed our stay. Hotel was clean. Staff were Courteous and welcoming. We had a very comfortable overnight in the nPillo Hotel.Staff were most friendly and efficient.We will be back.! The hotel was clean and tidy and was quite modern.It is also in a very convenient location and has free parking. Wifi was free, fast and there was no silly code you had to get from reception. The room had all the amenities you would expect, tea & coffee making, iron, tv, etc. The bar food menu was better and cheaper than the restaurant, which was in the same room, just up a few steps higher! The food was ok, nothing special and a bit over priced for what it was. The waiting staff forgot some things in our order, like a dip/sauce for a starter and ketchup for the table. The cooked breakfast was very oily and the scrambled eggs looked like they were powdered eggs. The waiting staff forget our tea and we had to ask twice or three times until it eventually came. However, for the price that was paid for a night the Pillo was quite good, not four star, but good all the same. The waiting staff could do with some extra training. 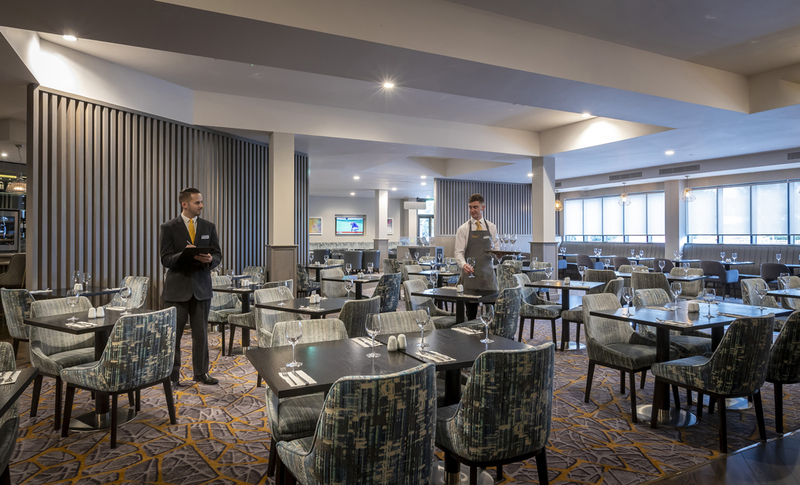 Hi, this Hotel is very clean, heating system not working and was very noise, hade to turn it off, and use the mobile heater, breakfast not as good as it was the last time I stayed there, overall very good, Sean. hotel was warm, it smelt clean, well-located. Good price, breakfast was alittle dissappointing (fruit salad wasnt fresh) asked for portion of beans and they came out cold. All in all, I would recomment the hotel to friends. Lovely hotel, food in the restaurant was excellent. Staff very friendly. My only complaint is that the beds are very short, I am 5' 9" and my husband is 6' 1" and our feet where hanging over the bottom of the bed., not comfortable ! We said this when paying and staff said others had also complained about this. Be aware if you are taller than 5'3". Myself and my sister stayed at the Pilo Hotel Galway on Saturday 12th October 2013. On arrival we checked in at reception the two ladies at reception were very polite. It was not yet 3.00pm so our room wasn't ready, We went to the bar for a drink and a bit of lunch. We were served by Tommy who looked after us very well. Lunch was very good value and quite nice too. We strolled into the city which is only about ten - fifteen minute walk. When we went to our room it had two double beds, the room was quite spacious and very clean. We were meeting friends in the city for the evening so we were delighted to find a few taxis waiting outside the hotel that took us into Eyre square which is a short taxi ride away costing about six euro. Later that night when we returned to the hotel and retired to our room. We had a plesant nights sleep and breakfast is served until 11.00 am on Saturday and Sunday mornings, but you have to get there before 11.00 am as they start clearing up before 11.00. There was a great range to chose from including a cold buffet, cerals, fresh breads, fruit and yogurts and cooked breafast. 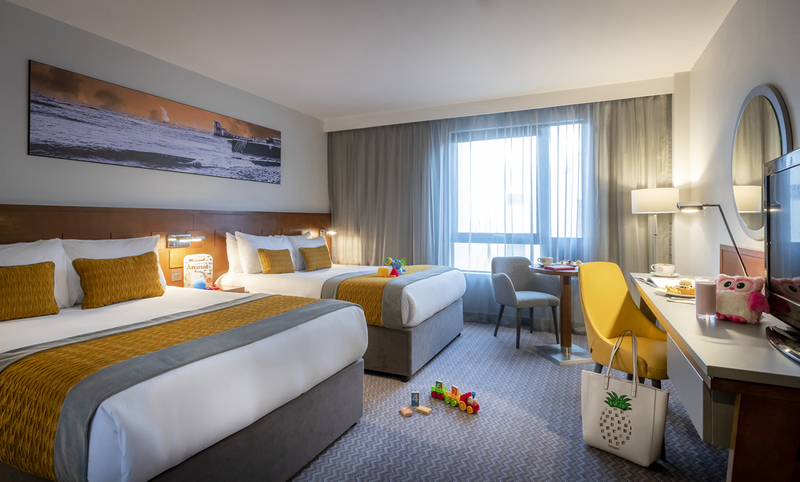 We throughly enjoyed our stay in the Pilo Hotel in Galway and its great value too. Fantastic hotel with very friendly and accommodating staff. Food was excellent. Beds were very comfortable and the room was very spacious. This was our third time staying at the Pilo hotel and we look forward to spending another break here again in the near future. Lovely hotel, room was very spacious and very clean as was the hotel in general even when we went from undergrouncar park through corridor to the lift there was a lovely smell, very impressed! Food was excellent and the staff were extremelyely friendly from reception to bar and restaurant. An definitely will be back again soon. Stayed here on the 23rd and 24th of November, Enjoyed the stay from Sopha in Reception to Fionn in the Bar and all the staff they ware so friendly and helpful, we had dinner on both nights and the food was cooked just the way we wanted it, the Parking in the underground is verry good and safe, We will definately stay here again, Thanks Again Sean and Mary Conway. staff very nice and helpful. The rooms are very big and very well equipped also very clean. Really enjoyed our stay here. Room was nice and the mattress was possibly the best I'd ever slept on. Breakfast was a buffet and of an OK standard, could perhaps have had more choice to the continental selection but overall pretty good. Stayed here for 1 night. Hotel is very easy to find and very modern. The staff are all very friendly. Rooms are great- very clean and fresh looking with a lovely flat screen tv. The bar food is great value for money and good quality. The only thing that lets this hotel down is the breakfast. It's all self service which I normally don't mind- often better if you're in a rush. But the hot food here was not good. Everything tasted and looked like it had been there for hours- and we came down for breakfast at 8.30 so feel sorry for people later. The pudding was like sawdust and the rashers and sausages just weren't edible. Having been very pleased with our stay the breakfast really lets the hotel down and disappointed us. However in all other aspects this hotel is really great. We've stayed a few times in this lovely hotel and would recommend it on several levels - friendly staff, FREE underground parking - vital with predictable galway wet weather!, comfortable spacious rooms with excellent wheelchair access and very good disabled shower & toilet facilities, very good breakfast, close to town and university. Looking forward to staying again. If you stay often enough you can build up reward points for future stays! Stayed in the Hotel on Friday night 7th Sept, arrived early and asked the very friendly staff at reception for a quiet room. In no time attall we were installed in a lovely king room. The room was very warm but it was nice to have a stand alone fan. Breakfast was excellent and I would definately stay here again S.S.